Global demand for the Scotch whiskies of Chivas Brothers – including Chivas Regal, Ballantine’s and The Glenlivet – remained stubbornly flat in the year to the end of June. The company, part of French drinks multinational Pernod Ricard and Scotch whisky’s second biggest producer behind the UK’s Diageo, said annual revenues for its stable of Scotch whiskies remained essentially unchanged over the past 12 months. The performance mirrors that of Diageo, which reported flat Scotch revenues and a 3% volume decline for the same period, as part of its annual results announcement in late July. 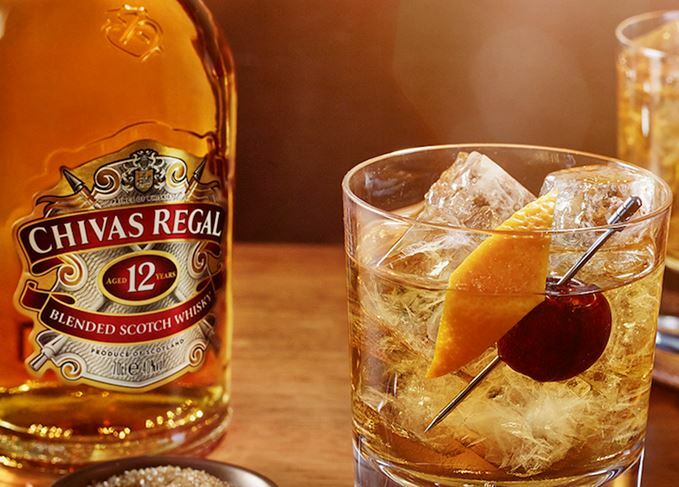 Chivas Regal recorded a 4% revenue dip, hit by the continued slump in demand in China and recession in Brazil, which had a knock-on effect on travel retail sales in the Americas. Global volumes fell 5% to 4.3m nine-litre cases. However, the brand’s sales rose 19% in Africa and the Middle East, and performed well in the UK and Poland, the company said. Sales of Ballantine’s rose 3% by value, spearheaded by a 7% increase for core expression Ballantine’s Finest, which recorded growth in Poland, Spain and the Africa/Middle East region. Volumes were up 5% to 6.5m cases. Ballantine’s is also bucking the downward trend in China. Pernod Ricard said its Scotch whisky sales there had registered a double-digit decline on the year – a continuation of a medium-term slump in the country – but added that Finest was increasing its sales by targeting emerging middle-class consumers. The Glenlivet, Chivas’ biggest single malt brand, saw revenues rise 3% on the year (although volumes fell 2% to 1m cases), thanks to its continued leadership in the US market, where its 12-year-old and the new Founder’s Reserve expression had good years. The company’s luxury blend Royal Salute posted volume (+5%) and value (+4%) gains, finishing the year at 200,000 cases. Pernod Ricard also highlighted long-awaited signs of a recovery in Scotch’s fortunes in Spain – where sales have been falling for over a decade – and said revenues in Poland had risen by 10%. But declines continued in Asian travel retail and in South Korea, where the Scotch market has slumped as consumers move away into lower-alcohol alternatives. Chivas down, The Glenlivet up in the last six months of 2015 as difficulties continue in China.